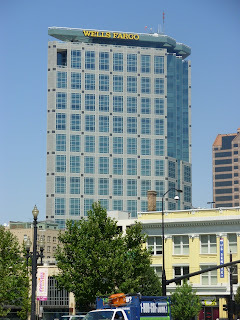 Wells Fargo Center in Salt Lake City Utah stands 422 feet tall and has 26 floors. With the city’s elevation, the top of the building is actually located 4,691 feet above sea level. The postmodern skyscraper, with its granite and glass façade is located at 299 South Main Street. It was designed by HKS, Inc. and completed in 1998 after two years of construction. The tower was designed with a triangular floor plan. It has a right angle pointed east to maximize the number of corner offices facing the Wasatch Range. The roof is flat to serve as a helipad. Wells Fargo occupies several floors, and the tower is also home to some of the city’s premiere law firms. I ran the stairs of this building on March 7, 2015 read about it here. 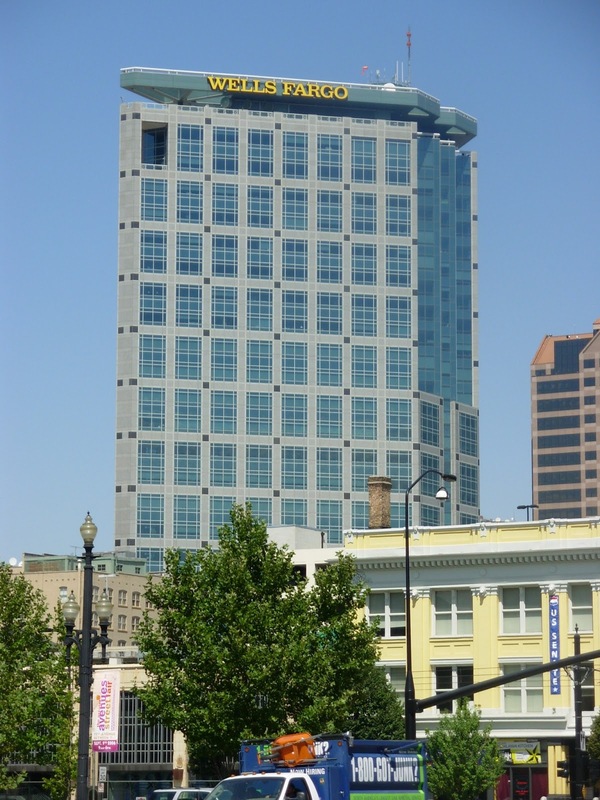 The tower is currently owned by Wasatch Property management. It has previously been known as the American Stores Tower and Delta Tower. Click here to see the list of the tallest building in each state.